Private 17522 Alfred Frederick Reynolds, Suffolk Regiment. Died: Wednesday 24 May 1916, aged 22. Enlisted: Cambridge (December 1914/January 1915). Eldest Son of Alfred and Elizabeth Reynolds of 15 River Lane, Newmarket Road, Cambridge. Oldest sibling to Frederick, Ada, Alice, Violet, Harry, Rose and Arthur. In the 1911 Census 17 year-old-Alfred was living in Cambridge and working as a a 'contracted labourer'. I've not been able to establish the link with Arrington. Cemetery: Mericourt-L'Abbe Communal Cemetery Extension. Mericourt-l'Abbe is about 6 kilometres south-east of Albert on the road to Amiens. The Communal Cemetery is a little east of the village and the Extension is to the south of the Communal Cemetery. In the early summer of 1915, Commonwealth forces relieved French troops on this part of the front and Mericourt-Ribemont Station became a railhead. The extension to the communal cemetery at Mericourt was begun in August 1915 and was used chiefly by field ambulances until July 1916, when it was closed until the German advance of March 1918. 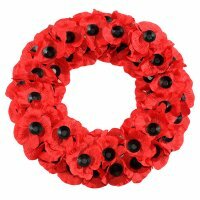 From March 1918 to August 1918 it was used by units engaged in the defence of Amiens. 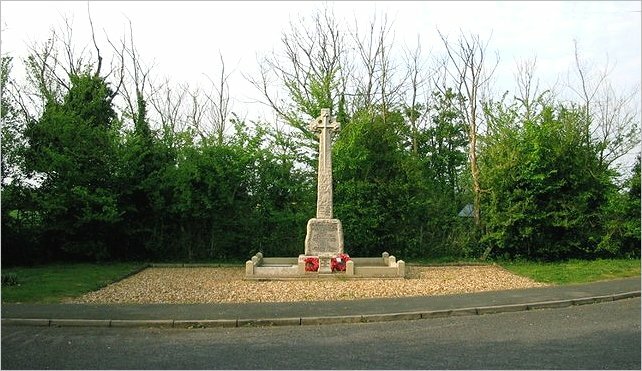 After the Armistice, Rows G and K of Plot III were added when isolated graves (only one of which could be identified) were brought in from the battlefields north-east of Mericourt. 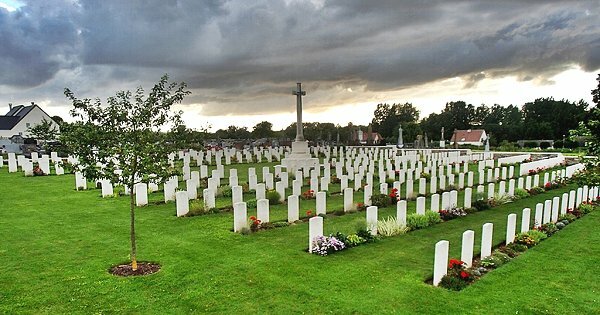 There are now 411 Commonwealth burials and commemorations of the First World War in the extension. 73 of the burials are unidentified. Alfred Frederick Reynolds for this page.